These towels are available in 5 sizes of rectangular shapes: W7.9 x H23.6 INCH, W9.8 x H39.4 INCH, W11.8 x H27.5 INCH, W13.8 x H27.5 INCH，W35.4 x H11.8 INCH. Like those found in high-quality hotels, the cotton washcloths are lightweight, quick drying, and feature reinforced edges to prevent unraveling. Soft to the touch, the cotton washcloths are gentle enough for everyday use on your face or for a baby's bedtime bath. Rectangular Shape. 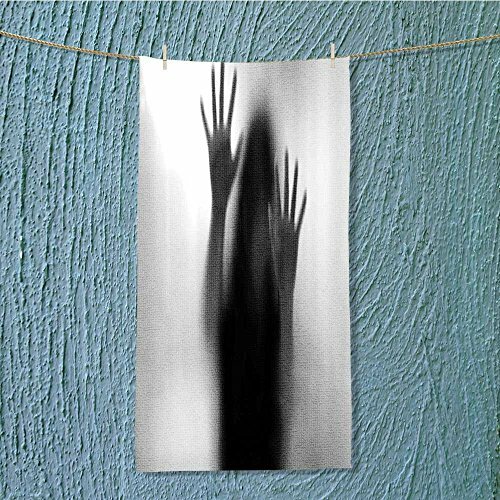 This hand/sports towel allows you to customize your room with a special design or color. Great for drying dishes, hands and faces. Toss the washcloths into the washing machine and then into the dryer for convenient, hassle-free home care and clean, fluffy results every time. With each wash and dry, the washcloths will continue to get even softer. 3.10 colors hand towels: 10 colors meet most of your needs and you won't get mixed up with the towels the other family members use. 4.The edges are stitched together and they won't be much reduced even after multiple washings. 5.Widely used: These 10 colors hand towels can be used in many ways, such as travel, hiking, jogging, ideal for guest bathroom, office and gym use.